Most Internet marketers focus on things like blogging, SEO, AdWords or Facebook ads to drive traffic to their site. But many of them completely forget about the second biggest search engine: YouTube. If you approach it the right way, you can reap the benefits of both video marketing and higher search engine rankings, which ultimately results in more awareness at the top of the funnel. In this post, we’ll talk about how to optimize your YouTube videos to attract more prospects at the top of the funnel by improving your SEO rankings. 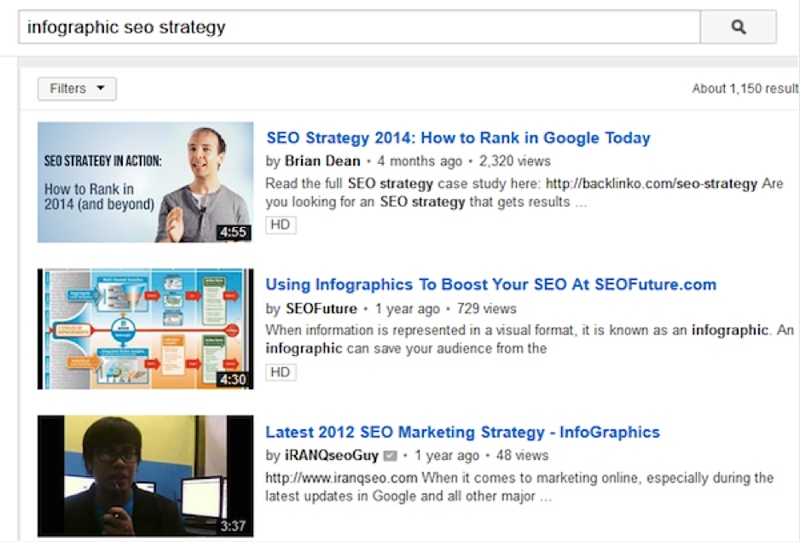 There are two ways you can grow your YouTube SEO. The first is by improving your search rankings within YouTube itself, and the other is by getting your YouTube video to rank high in Google. Before you can start ranking your videos, you need to figure out which search terms you want to rank for. When searching for YouTube SEO keywords, make sure that you choose a search term that already has YouTube video results on the first page of Google. By making sure that you choose a search term that actually results in YouTube videos showing up in the SERPs, you can work your way towards getting your video ranked in Google search and not just YouTube search. 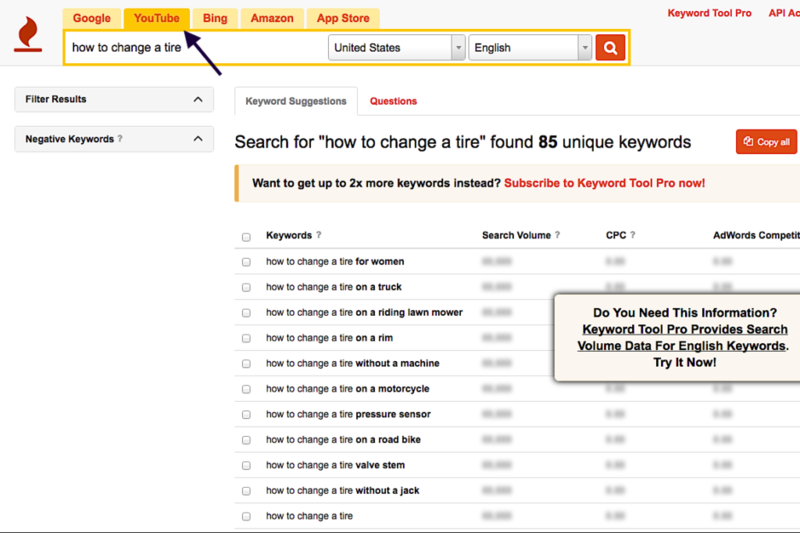 KeywordTool.io is a tool you can use to quickly generate YouTube-specific keyword ideas. You can search for any of the types of keywords that result in YouTube videos being displayed on the front page of Google to see what people are looking for. If you don’t want to pay for a monthly subscription, you can copy and paste the keywords into Google’s Keyword Planner to check your search volume. Your target keyword should get at least 300 searches per month to ensure that it gets a decent amount of searches within YouTube in addition to Google. 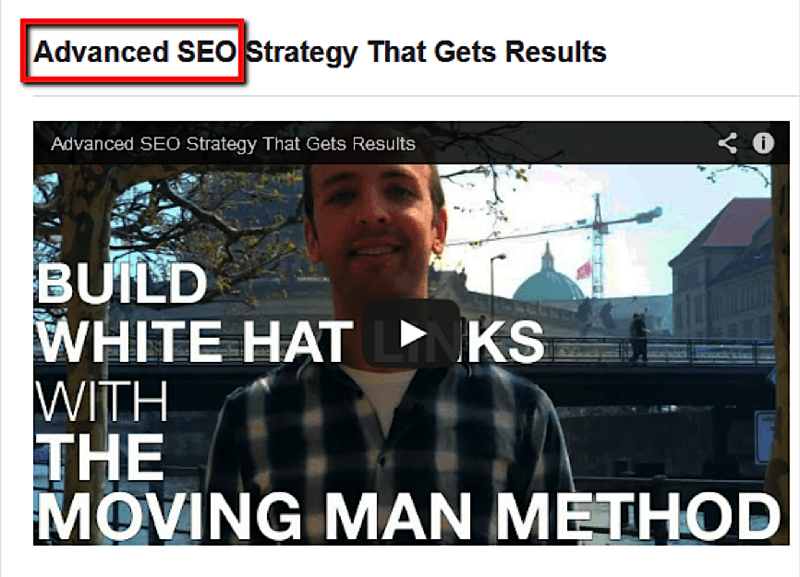 Once you find the right keywords to rank for, the next step is actually creating your video. Remember when you were in school? You probably had a teacher who made even the most dull subject seem captivating. It just depends on how you tell the story. Editing is one the the most frustrating, time-consuming parts of video production, but it’s also the most important because this is what really separates the quality videos from the terrible videos. The process of editing can (and should) happen before you even start filming. Once you’ve written your script, you should pare down all the superfluous content that isn’t directly related to the story you want to tell. And then after the video is shot, you’ll take an even more heartless approach (because that’s what it will feel like) to cutting everything out that isn’t necessary. Besides cutting footage out, this is also where you’ll really start to put the story together through pacing, points of view, etc. You can also hire a videographer to do most of the hard work for you. Ultimately, good production quality is about making your video interesting so that more users engage with it. You can’t get a bad video to rank in Google. If you really want to showcase your awesome video creation skills, learn to storyboard your idea. Obviously, the more complex your idea, the more attention you will need to pay to composition (as opposed to just filming a guy standing there talking about his product—but of course, you wouldn’t make a boring video like that, would you?). Storyboarding is a way of visualizing your video before you shoot so as not to waste time and helps you communicate your story in the most compelling way you can. 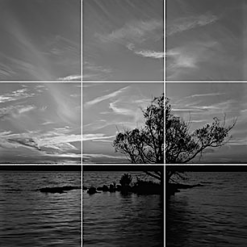 To storyboard like a pro, you need to understand composition, and to understand composition, you should be familiar with the rule of thirds: This “guideline proposes that an image should be imagined as divided into nine equal parts by two equally spaced horizontal lines and two equally spaced vertical lines, and that important compositional elements should be placed along these lines or their intersections.” When you follow these guidelines, it helps to create “more tension, energy and interest in the composition than simply centering the subject.” Just ask Spielberg. 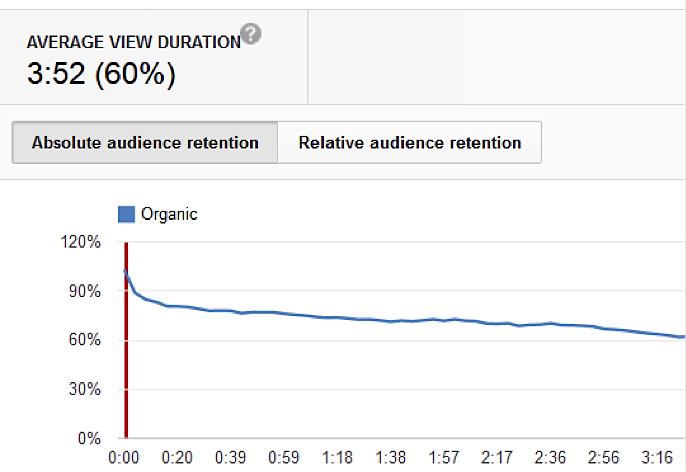 Video retention: How much of your video do people watch before they bounce? The longer they watch, the better it is. Comments: If your video generates lots of comments, then chances are the video is striking a chord with people. Subscription rate: One of the best signals that shows that you have a high-quality video is if people subscribe to your YouTube channel after watching. Adding to “watch later”: The number of people who add your video to their “watch later” list is also a good sign of how much interest it generates. You can track this data on your YouTube analytics page. There are a few things to keep in mind when optimizing your YouTube video for the best possible SEO ranking. Whenever you upload an image on your site, it’s usually good practice to include your focus keyword in the image tag. Similarly, when you upload your video on YouTube, you should use your keyword in the filename of the video. According to Backlinko, the title of your video should be at least 5 words so that you can include your target keyword within a longer phrase. Writing good descriptions are the most important part of increasing your YouTube SEO. When you write blog posts for your site, Google can crawl through the post to gauge the content quality. But search engines can’t watch videos. That means they lean heavily on the description text to get a feel for what the video’s topic is, what it covers, and how in-depth it is. And the more that YouTube knows about your video and the keywords it covers, the better it can rank you for those keywords. Your video descriptions should be at least 200 words. Also, notice how the description above includes the link to the site at the very top. Placing your link at the top of your description helps maximize the number of clicks back to your site, which helps you get more visitors as well as grow your website SEO. 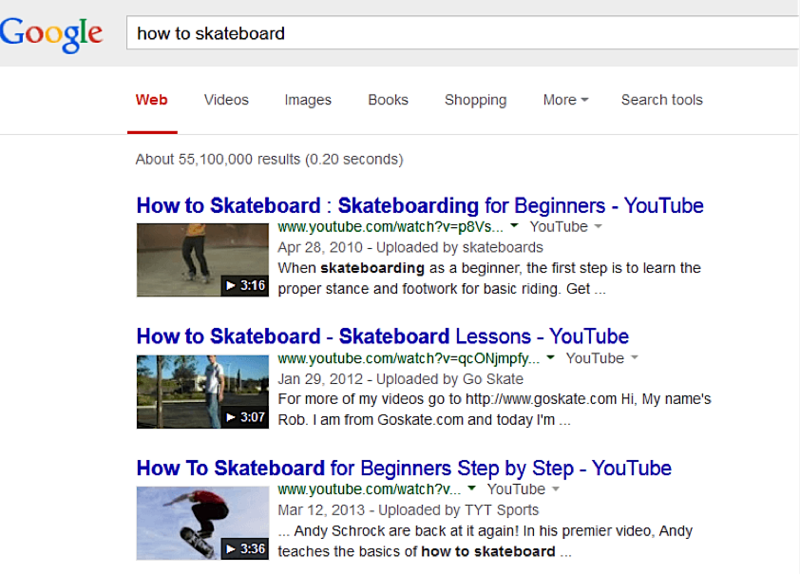 When it comes to your tags, you should include a few keywords on what your video is about. These tags can help your video get discovered in YouTube’s side bar in the “related videos” section. A great way to get more search traffic in YouTube is to group your videos into playlists. By building a keyword-rich playlist, you give YouTube a deeper level of understanding of your video. 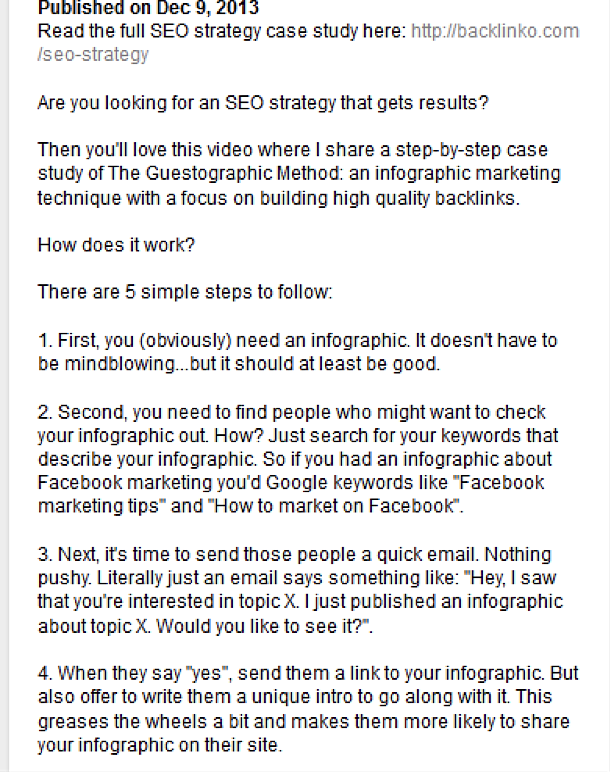 The tactics for getting your video to rank high in search are pretty similar to the tactics you’d use for a blog post. Link building, connecting with the right people, and asking them to share your content, are all important. You can write blog posts on sites like Medium or answer questions on Quora, linking back to your video where appropriate. If you link to your video in response to a Quora question related to what you cover in your video, for example, you’ll be presenting your video in front of an audience that is already searching for an answer. Because you’re sharing your video with a targeted audience, it will help you get a higher retention rate on your videos and a higher subscription rate, which will help grow your rankings. You can also guest post on high-traffic sites in your niche and link back to your YouTube video within that post where appropriate. Links from high-authority sites in your field will let Google know that your video has quality content. The biggest thing that’s different about how YouTube ranks their content compared to Google lies in the fact that search engines today can’t crawl and analyze the quality of video content. Instead, they rely on video descriptions and user engagement factors to see how well people respond to it. As the Internet gets more and more saturated with content, our ability to process everything decreases. Because of that, we respond to content that’s easily digestible, and video content is easier to digest than a long-form blog post. In fact, according to Cisco, 80% of Internet traffic will come from video by 2019. So getting your videos to rank high in both YouTube and Google is the best way to adapt to these changes.